and around stoves or for accents. Tile entry ways, or foyers, are popular. 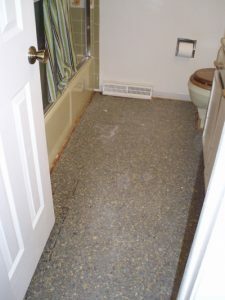 Since we do not recommend putting hardwood in areas that might receive water damage or too much moisture, such as in bathrooms, laundry or kitchen next to dishwashers or refrigerators with ice makers, tile is an excellent way to avoid the headaches of water damage in the future in highly prone areas. 1.) 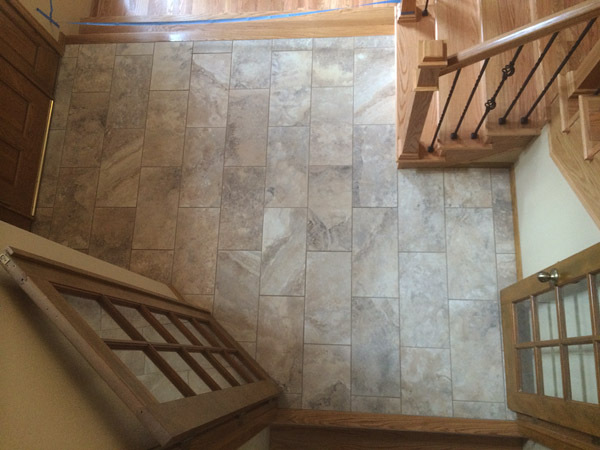 An entry way – we installed tile in an unusual and creative pattern. 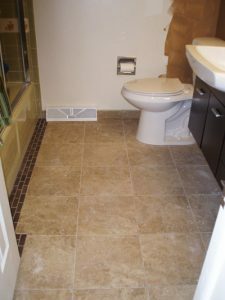 It was installed in a similar pattern to the flooring since it was a narrow stone tile and lent itself well to this type of pattern. We did the stairs and remaining flooring as well for this job in oak with a natural finish and 3 coats Glitsa Swedish Finish. Slate tile in a sunroom with a stop down from the hickory floor. Slate is very rough and has a very uneven surface, so keep in mind that it is not good for setting furniture on. 2.) A saltillo tile inlaid in an oak grid pattern. This was a perfect Southwestern rustic look for a huge sunroom / recreational room. A pool table was placed in the center of the room and a t.v center along one wall. 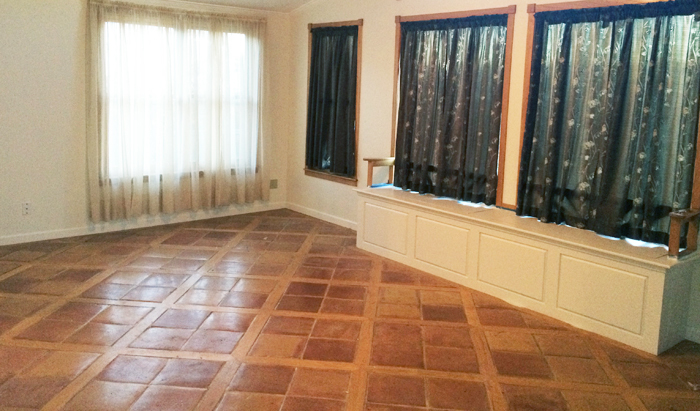 Saltillo tile can also be uneven and does not have a completely level surface, although it is not as rough as slate. It also has a natural terra cotta look to it. 3.) Before and after photos of a bathroom. We also did the vanity for this job and replaced the linoleum with a travertine tile. 4.) 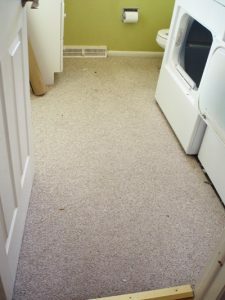 Before and after photos of a laundry room. 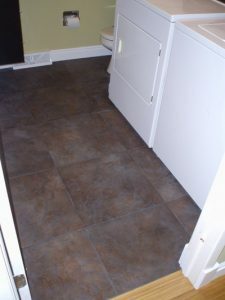 We removed the carpeting (never a good idea in a laundry room) and replaced it with a porcelain tile. Please let us know at the time of your bid or estimate if you are considering having any tile installed or removed.